As time inexorably marches on these planes from the 1930s and 40s become ever more rare. They sadly become relics in a museum. We fight an ongoing struggle against time and memory. With every passing day there are less of these flying legends that leave the ground. They are cantankerous, unwieldly and just plain ornery at times. They are also majestic, breathtaking and a living monument to the possibilies of man. What we strive to do, and what we ask you for, is provide a lifeline. To pump a little more air into the tank so we can keep the patient alive to tell the story of remarkable young men and women who did the impossible—sacrificed their all—to give us the gift we have today: freedom. The work is also amazing. The rush of thunder that pounds in your chest with the vibration of a radial engine is indescribable. The smell, the sound, the twisting and wrenching...thousands of horsepower straining to be set free and do what they were destined to do...fly. It is intoxicating. So what we invite you to do is have an experience of a lifetime. As a member of the Greatest Generation Aircraft Foundation you can step back in time and experience flight in all its wonder. 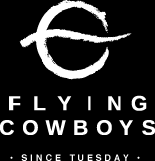 Membership does have its priviledges...so as a member you can take flight with us to events from Oshkosh, The Ocean Reef Vintage Event, Texas Hill Country Fly-In and Air Shows around the country. (Please note that FAA regulations preclude any activities which would be deemed Part 135 Certified Charter Operations...we comply strictly with those guidelines. We trust you understand that necessity). For more details on the aircraft, restoration activities, and flight schedules, visit Greatest Generation Aircraft.